ALEXANDRIA, Va., (June 16, 2016)—National PTA is pleased to announce it has joined forces with Mathnasium as part of its science, technology, engineering and math (STEM) education and family engagement initiative. With more than 650 learning and enrichment centers nationwide, Mathnasium helps make math come alive for students across all ages and ability levels. 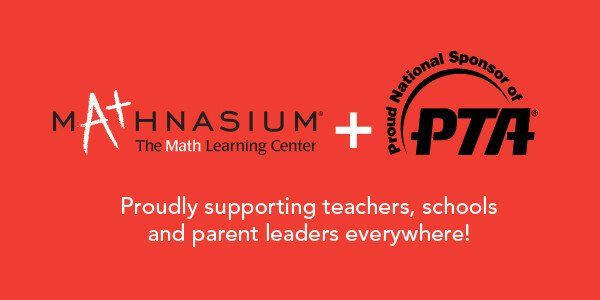 Through this collaboration, Mathnasium will support National PTA in the development and deployment of resources, activities and events that engage students and families in STEM—particularly math—experiences. National PTA launched its STEM education and family engagement initiative in fall 2015 with the founding support of Bayer USA Foundation. The goals of the initiative are to fill a critical gap in STEM education, increase access to STEM experiences for all students and inspire the next generation of STEM professionals. Through the initiative, 100,000 STEM experiences will be delivered over the next three years that engage entire families in hands-on activities—both in schools and at home. The effort will include a focus on urban areas and among girls and underrepresented youth. "Mathnasium is proud and honored to forge an alliance with National PTA. As a founding sponsor of National PTA's STEM initiative, we're especially excited to help PTA inspire the next generation of STEM professionals and help lay the foundation for the association to deliver 100,000 STEM experiences for families in communities and schools across the country,” said Peter Markovitz, founder and chief executive officer of Mathnasium. “This invaluable opportunity to collaborate with dedicated educators and parent leaders heralds an exciting new chapter for our company as we carry out our mission to help every child understand—and master—math." National PTA will continue expanding its initiative through collaborations with other sponsors representing the “T” and “E” in the STEM acronym as well as through existing and new alliances with education and industry leaders working across all STEM disciplines. National PTA® comprises millions of families, students, teachers, administrators, and business and community leaders devoted to the educational success of children and the promotion of family engagement in schools. PTA is a registered 501(c) (3) nonprofit association that prides itself on being a powerful voice for all children, a relevant resource for families and communities, and a strong advocate for public education. Membership in PTA is open to anyone who wants to be involved and make a difference for the education, health, and welfare of children and youth. Mathnasium, the nation’s leading math-only learning center franchise, specializes in teaching kids math in a way that makes sense to them. The result of 40+ years of instruction and research, the Mathnasium Method has transformed the way children understand and appreciate math—whether they’re ahead of the curve, performing at grade level, or falling behind. Franchising since 2003, Mathnasium has become one of the fastest-growing educational franchises, with a new center opening each week. There are more than 700 Mathnasium franchises in the U.S. and abroad. For more information, visit http://www.mathnasium.com or call 1-877-601-MATH.